Who says you can't have fun! Want to play? Get in touch! If you would like to join our league next season, sign up or contact us to find out more information. Diva soccer was founded in the early 1990s and we are currently working to build our league. 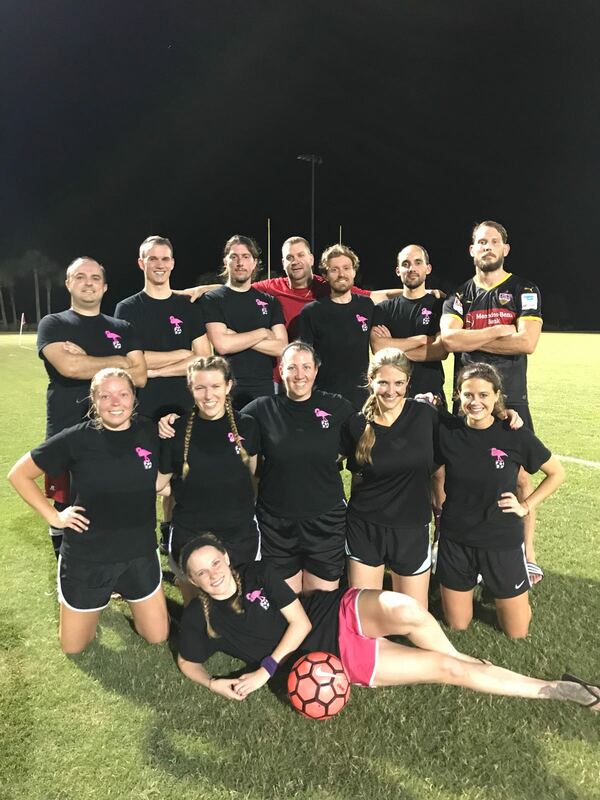 You have a chance to participate in an exciting, growing league whose focus is strictly to promote soccer and have fun. 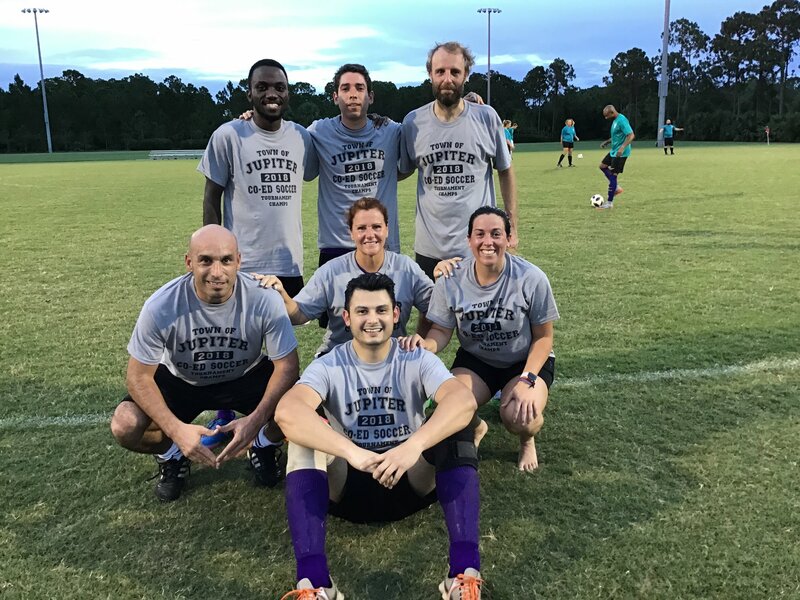 The purpose of the league is to bring quality recreational soccer to all levels of our community, meet the diverse needs and have fun while doing it. We strive to develop team and individual skills along with staying physically active. Our league expects ALL teams to conform to our minimum standards. Standards that we stress include: Professional conduct and adherence to the league rules & regulations. 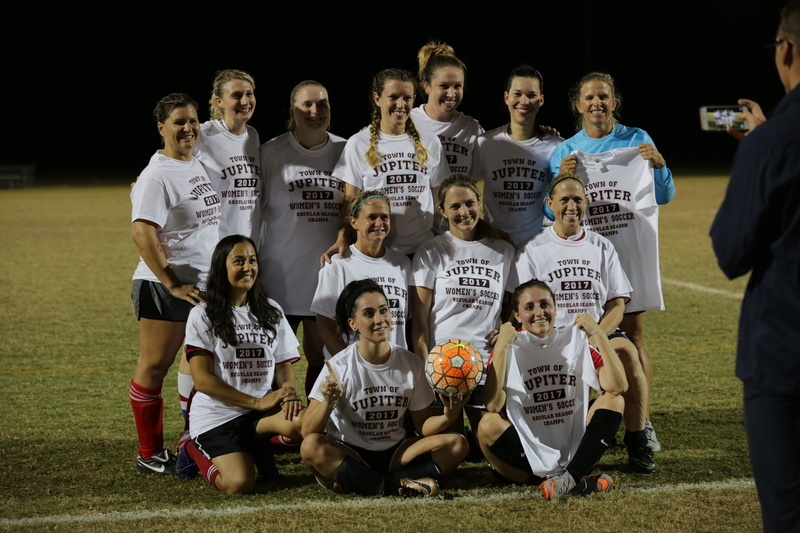 For photos please check us out on Facebook at Diva Soccer - Jupiter, Florida. 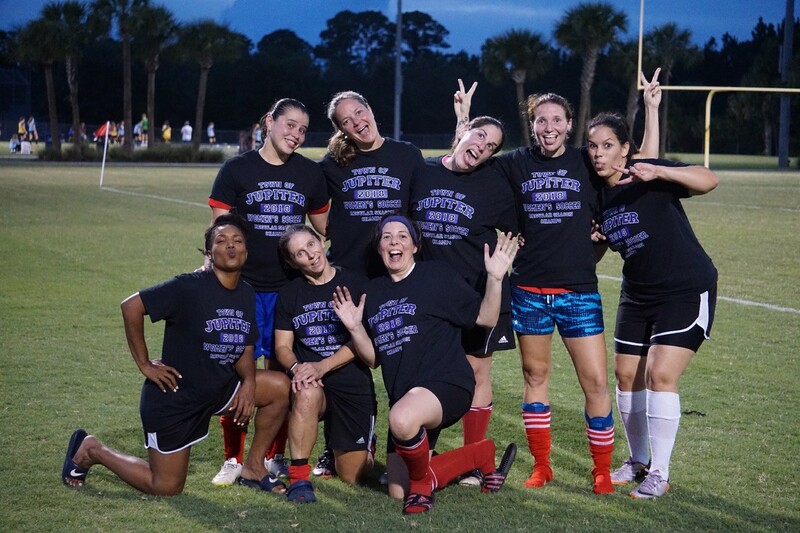 Diva soccer was a women's soccer league and in 2013 we added a Co-Ed league to include men. We strive to promote and develop soccer. Diva soccer provides a playing opportunity for all soccer players to play. All are dedicated to the success of the league as a whole as well as to their own success, recognizing that they cannot long succeed individually without the league succeeding. The Diva soccer league makes every effort to bring quality soccer to all levels of the community. Decisions are made based on what is best for the teams. We are (1) one team, not individuals. Success is based on the contribution of every player on the team. Establish fundamentals in the game of soccer focusing on team and the love for the game. When a player chooses to participate, we want to create an environment that encourages that player. Develop players emphasizing effort, desire, heart and character. Establish a positive philosophy related to winning. Soccer is a competitive sport. However, in the big picture, soccer is still a game and does not define our worth, our character or our esteem. "The rules of soccer are very simple, basically it is this: if it moves, kick it. If it doesn't move, kick it until it does."